As our subsidiary, the operator of Kengdou Hydropower Station was formally incorporated on Dec. 15, 2004. It is jointly invested by Sifang Hydropower Investment Co., Ltd, Shouning State-owned Asset Investment and Operation Co., Ltd and Shouning Xietan Town Enterprise Management Station. It has a registered capital of 6 million Yuan, an installed capacity of 3.6MW, a mean annual power generating capacity of 10,000-12,000MW and a sales revenue of about 3 million Yuan. The electricity is mainly fed into Shouning Power Grid of Fujian Province. As our subsidiary, the operator of Shouning Cheling Stage 2 Hydropower Station was formally incorporated on Sept. 22, 2003. It is jointly invested by Shouning Tianfu Hydropower Investment Co., Ltd, Fujian Minyuan Hydropower Development Co., Ltd and Fujian Sifang Hydropower Investment. Shouning Cheling Stage 2 Hydropower Station was completed and launched into operation in 1995, with a total installed capacity of 15.8MW, an annual generating capacity of about 46,000MWh and an annual income of about 14.1 million Yuan. 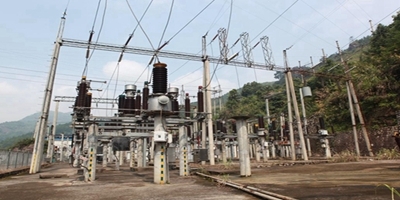 The generated electricity is mainly transmitted to Wenzhou via the 110KV power grid of Sifang. The Company has invested in Liuchai and Xiadongxi Hydropower Stations with a total installed capacity of 50MW and a total investment of about 319.70 million Yuan. Both stations are furnished with leading equipment and technologies of the industry. The generated electricity is fed into Wenzhou Power Grid via the 110KV Chefan Line of the Company (Shouning Cheling Stage 2 Power Station – Wenzhou Fanshan Substation). The power station was launched into trial operation on Jan. 1, 2008. When the river dam project of Xiadong Brook was not yet completed, the two stations had an annual electricity output of 110,000MWh in 2008. They have an annual generating capacity of 150,000MWh during normal years.